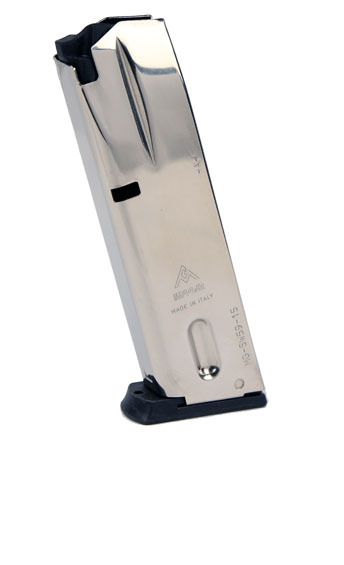 Mec-Gar Smith & Wesson 9mm 15 round magazine for M910/M915/5900 Series pistols. Made in Italy. Nickel finish.